If you’re looking for a great adventure combined with bright visuals and a good storyline, then look no further than this Hidden Object game! In Natalie Brooks – The Treasure of the Lost Kingdom you immediately get thrown into an exciting quest as Natalie arrives at her grandpa’s house only to discover that the place looks like it’s been ransacked and her grandpa – an expert historian and scientist – has been kidnapped! After a mysterious phone call from the kidnapper Natalie now has 3 days to find an old treasure map of Juan de Castellanos, leading her on an exciting adventure, which includes a sidekick by the name of Geoffrey Evans, a visit to Alcatraz, a brief encounter with Al Capone’s memory and visits to numerous cities around the world. 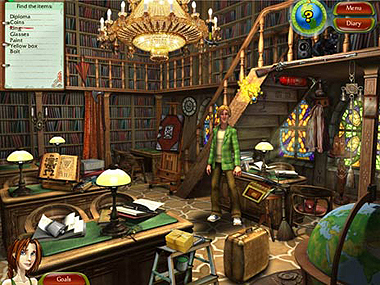 While the game’s hidden object scenes are somewhat easy by comparison to truly challenging hidden object games, the storyline is cleverly told in between scenes and chapters and will keep you enthralled as you learn more about the plot, bit-by-bit. Sometimes Natalie needs to find objects like a golden key or a magnifying glass to add to her inventory or to solve a puzzle, other times to help her get to the next step in the game. And, when all items are retrieved, you get a nice “Success” stamp in your notebook! 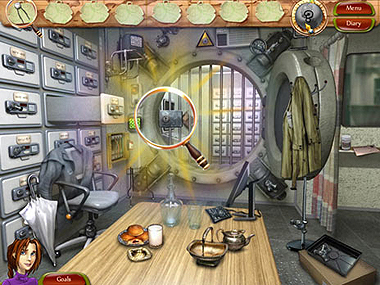 The game has many unique puzzles and clever mini-games thrown in as part of the plot, like finding Roman numerals that are on the list to open the suitcase that’s on the ground or match a range of bells to their silhouettes to open a mechanism and retrieve a knife (and untie a poor bystander caught up in Natalie’s drama). 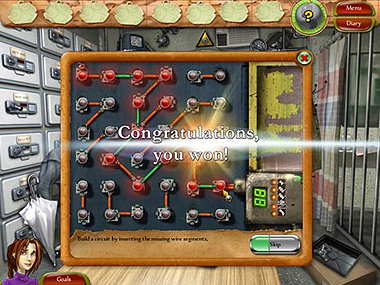 While the puzzles and mini-games are a cool pick-me-up in the game, you can also choose to skip them, without getting penalized later on. As there is no timed version, you can enjoy the game at your own pace, taking your time to explore the scenes and locations. And, should you need a helping hand, there is a Hint button, which constantly recharges, giving you unlimited hints throughout the game. Overall the game has seven chapters, each divided into two parts with the story told in cool cartoon style drawings in addition to grandpa’s diary, which has amazing pencil drawings and tells the story in its own way. 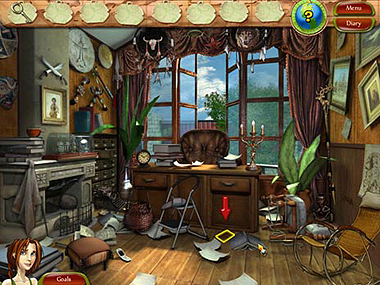 Natalie Brooks – The Treasure of the Lost Kingdom is a fun hidden object game with a great storyline that draws you in right from the start. Download and play Natalie Brooks – The Treasure of the Lost Kingdom now for FREE! Why can’t I download game on my iPad?..It did not go to computer email..
eu muito gosta só jogos hidden object… muito otimo ! bjss. I deeply love this game just so much!!! loved the game not enough time to play though. very good games…really enjoying it…thank you. Looks like a fun game. Let’s get the game on. QUICIERA HACERLES UNA PREGUNTA POR QUE HAY JUEGOS QUE BAJO Y NO SE PUEDEN JUGAR SE TRABA Y NO ES POSIBLE JUGARLOS LES AGRADECERIA ME CONTESTARAN EN ESPAÑOL GRACIAS. to whom this will go to. We just love this game & it teaches us alot of stuff & it teaches the kids & myself to use our brain. It also teaches us use our eyes to to find thing that we don’t usually don’t see every day. Thanks for having this game.